Last year, I made it my goal to hike up Mt. Chicon and touch the glacial snow that stared down at me every single day. The massive, imposing peak had been dangling a carrot in front of me since the moment I arrived in Urubamba; and I was taking the bait. I am going to touch snow, I thought to myself, I am going to conquer the summit. I had a vision – or even better, a dream – of myself standing high above the Sacred Valley laughing at the mountain that had taunted me since day one. The thing is, I failed miserably. I didn’t come close. By the time I needed to turn around my lungs felt as though I had chain-smoked 5 packs of cigarettes earlier that morning, and I wasn’t even halfway up. I couldn’t take ten steps without keeling over and gasping for air. I was completely clueless at the time, but I had the foolish expectation of climbing a mountain with an elevation of 18,175 feet. That isn’t a typo; Mt. 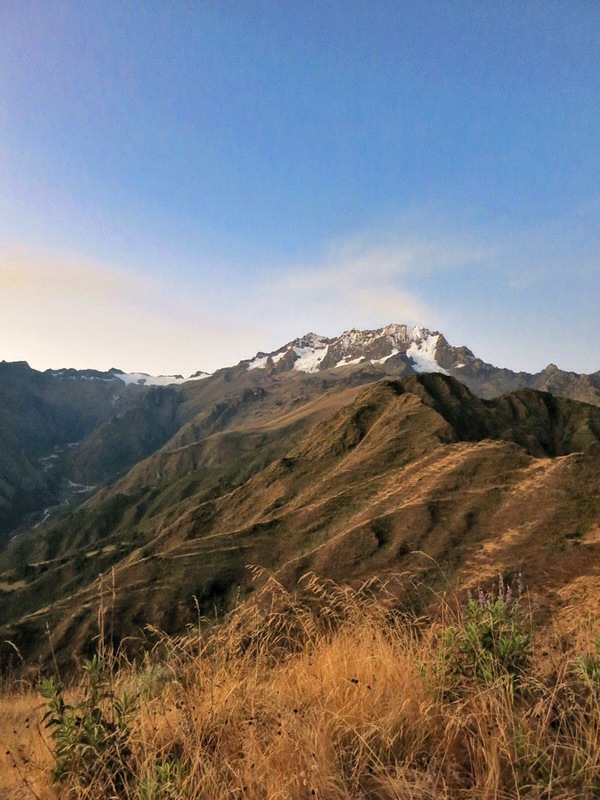 Chicon, which casually exists in Urubamba’s backyard, is nearly 4,000 feet taller than Mt. Elbert, the tallest mountain in the Rockies. Mt. Whitney, the highest peak in the contiguous United States, sits 3,670 feet lower. Even Mont Blanc, the pride of glory of the Alps, stands at a mere 15,780 feet. Chicon towers over other ranges and still only holds the title of 11th tallest mountain in the Cusco Province, or 126 tallest in all of Peru. For as enormous as it is, it’s nothing in comparison to the rest of the Andes. The point I’m trying to make is this: the Andes are gargantuan. At 4,300 miles end-to-end they’re the longest continental mountain range in the world, stretching over 1,000 miles further than the United States is wide. Within that impressive distance lie more than 50 volcanoes that rise above 19,700 feet (which is taller than Mt. Kilimanjaro, by the way). Additionally, within approximately 1,333,000 square miles of territory, the Andes possess an average height of 13,000 feet. I’m not trying to knock the Himalayas, I know it’s the most immense mountain range by far, but the Andes don’t get the credit they deserve. Having trekked the Altiplano previously I can say from experience they’re relentless; the landscape is littered with rocky, serrated ridgelines as far as the eye can see. It’s almost claustrophobic being so inescapably enclosed by the numerous snowcapped peaks that boast their supremacy, perpetually bursting skyward like they’re trying to make a statement. They’re tall, cold, dry, and deprived of oxygen; an impressive creation to say the least, a prime example of Mother Nature’s brute strength. They’re capable of taking the most determined human and putting them on all fours – trust me, I would know.